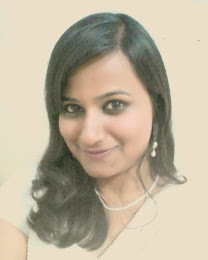 Finally here is our travel diary of the road trip to Jaisalmer that we took this month. I would be doing this story in three parts so that I can cover all the aspects of our travel. Jaisalmer is not a very big city, in fact, it is quite a laidback town. And mid-January, when we had visited was apparently the near end of the tourist season - meaning, less crowd and more time for us wherever we went (not to mention discounts :D). We drove down to the city through beautiful rustic Rajasthani landscape, which, I must say is not all desert (as we might have been made to believe in school times). But the roads are extremely good and the traffic well-regulated, so if you ever plan to drive down to the state, even with kids or elderly people, do not hesitate a bit! 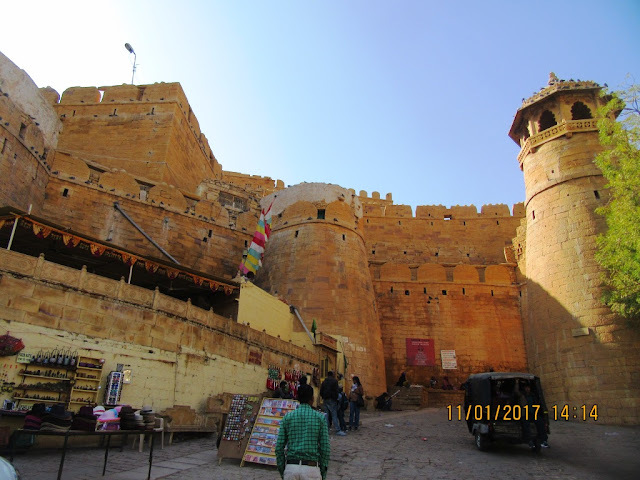 This post is about my visit to the Jaisalmer fort, which stands tall above the city and is the center of attraction. 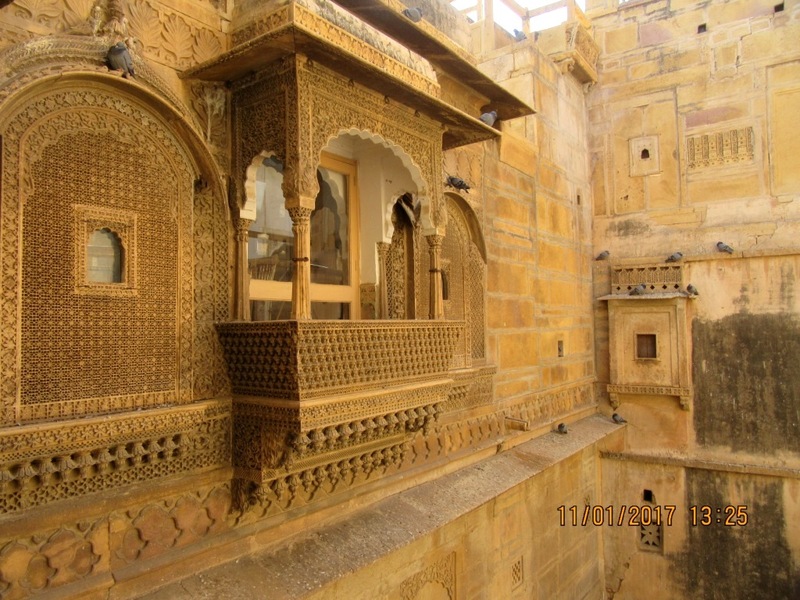 The Jaisalmer fort is a UNESCO World Heritage Site built in 1156 AD by then ruler Rawal Jaisal. 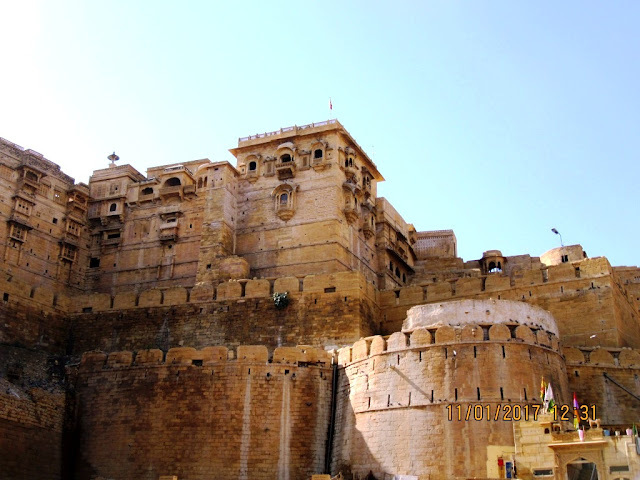 The fort is made of yellowish gold sandstone, intricately carved, hence it is also known as Sonar Qila or Golden Fort. My guide, Bharat, informed me that a famous Satyajit Ray's movie named 'Sonar Qila' was filmed here, after which Jaisalmer came into prominence in the tourist map. About 500 families still live inside the fort, and I couldn't help but wonder about their lives. Having your grandparents, parents, yourself born in the same house that you would continue to live now, Wow, some history there! The stone carvings here are divine! Panoramic view of the city from atop the fort. A shop selling 'touristy' items just outside the gate. One of the exits of the fort which lead to shopping streets outside.